Our juices are slow cold pressed between midnight and 2am, just hours before you receive your order to retain their high nutrient density. Deliveries are made in the wee hours of the morning to your home, and in the event of conditions outside of our control such as weather, we will attempt to deliver to your work before 9am. Please ensure that we are provided with both your home and work or alternative address. You will receive DAILY deliveries of your Raw Juices in our insulated cooler bags with Ice pack rated for 10 hours. 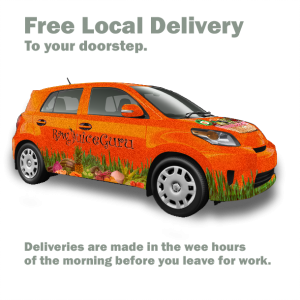 Deliveries occur between 2am and 7am daily, 7 days a week, 364 days per year (closed only on New Years Day), within our local and extended delivery zones. Orders placed before 10am are guaranteed for next day delivery. Your crate or cooler is placed at your doorstep on your porch or outside your apartment door. Depending on the rules of your condo, the concierge may request that the cooler be left a the desk or parcel room. Please arrange your delivery with us by telling us what time you wake up and what time you go to work. There is a 6 bottle minimum for local delivery zones, 12 in our extended zones and 18 bottle minimum Canada wide. If you live outside our free delivery zones, and in regions with paid delivery we delivery 2 to 3 days at a time to save you on delivery charges. All this can be specified once your order has been placed in the checkout notes or in your questionnaire. When you order you are charged for 1 delivery if applicable. If you require additional deliveries for extended cleanses beyond 3 or 4 days, or desire more frequency for large stock your fridge orders you can add more deliveries to cart. If you live in a building without 24 hour concierge, the driver can call or buzz you and your crate or cooler will be left outside of your apartment door. The driver will not knock or expect to be greeted. If you prefer not to be disturbed, as this can occur fairly early, arrangements can be made to provide us with a key or key fob; which will be returned to you upon your final pickup. Alternatively, you can provide us the code to a lock box that you hang outside the entrance. We will let you know if we already have a key to your building from a previous customers. Your empty cooler bag, ice pack and rinsed Glass Bottles will be picked up daily with each subsequent delivery, so please remember to leave out your empties, crate or cooler bag and icepack before midnight. Customers who live Canada wide will get delivery to their home or offices, start dates are tuesday and friday (shipping them Monday and Thursday). The juice will arrive by 12pm in an insulated cooler box, maybe later if you live in remote areas. 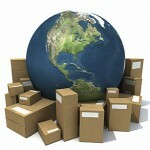 Now you can start the date the package arrives or the next day. we recommend you do start the day it arrives and to just follow precleanse instructions eating fruits and vegetables till it arrives, we can discuss that before hand. 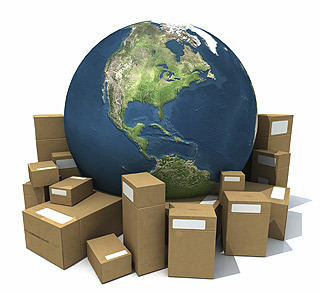 If you have any questions or concerns about your delivery, we encourage you to contact us immediately. The juices are slow cold pressed just hours before we ship your cleanse in order to retain their high nutritional integrity for seven days when refrigerated. We ship your juices inside a 48 hour insulated liner that converts our cardboard boxes into your cooler. Your juice will arrive with ice packs to make sure it remains cold all throughout the shipment. Please place them in the fridge upon arrival, and if you will not be home for shipment, please provide us with your work address. we deliver from 3 to 4 days of juice to you at one time depending on the length of your program.